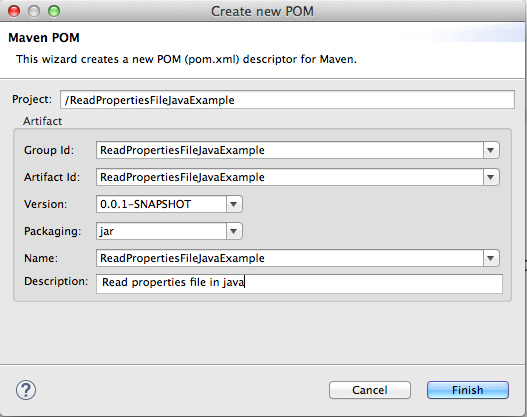 In this post, we will see how to convert existing java project to simple java maven project. 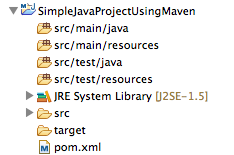 Install m2eclipse for maven plugin in eclipse. Please follow this link for installing m2eclipse plugin in eclipse. Right click on project -> configure -> convert to maven project. Provide group id and artifact id , I have kept them default. Artifact id : It is name of jar or war without version. it may be something like project, so here we have put artifact id as ReadPropertiesFileJavaExample. Great job, it is useful for me and the company where I work, it’s exactly what I was seeking.